Man-Head narrates this opening issue long enough to introduce us to the team, but doesn’t have time for much else, since all hell breaks loose on page 5. 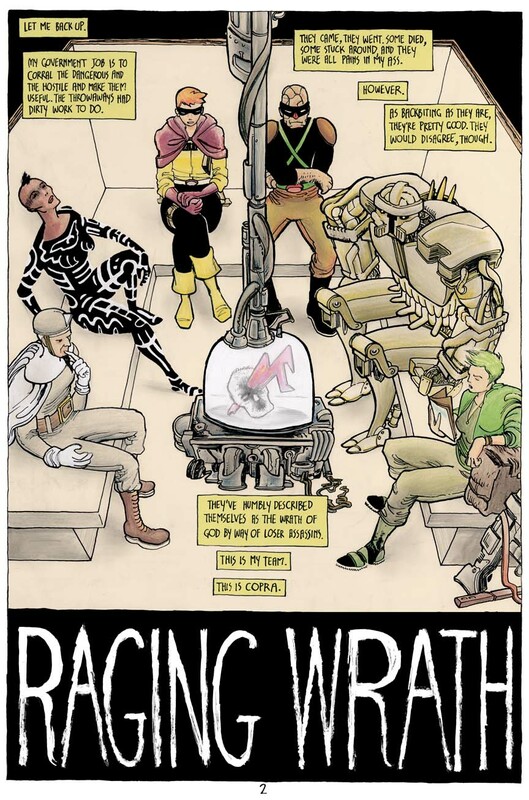 In the middle of page 7, we see Lite (bottom left in the picture above), a new recruit to Copra, standing behind the truck awaiting the approach of a woman with a sword running towards him. In the next panel, she’s closer and Lite’s face shows he’s preparing for the clash. In the third panel, she’s gone and the expression on Lite’s face is anger, disappointment, hatred, possibly at being duped. The next panel, larger than all three of the previous ones combined, shows surprise, an action performed too late, and an element of movement that tells us that we’re not done yet, not by a long shot. These first three panels could be still photographs. Their effectiveness comes from the fact that they speak for themselves; they need no sound effects, thought bubbles, or any other typical comic book techniques. 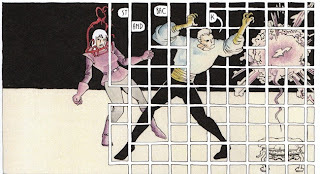 This segment is also one of many that allows Fiffe to show the sudden, devastating effects of the book’s violence, which is often presented not so much with a sense of disgust, but rather of wonder. If that sounds contradictory, it’s not. You’ll just have to see the comic for yourself. The battle scenes have so much going on you’ll want to linger over the panels for awhile. Second (or third) glances will reveal many things you might’ve missed the first time. 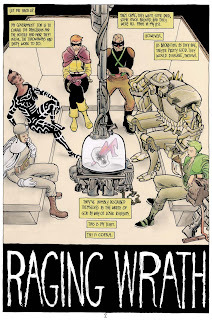 Fiffe’s art style, color choices and panel configurations all combine into something unique and exploding with energy. 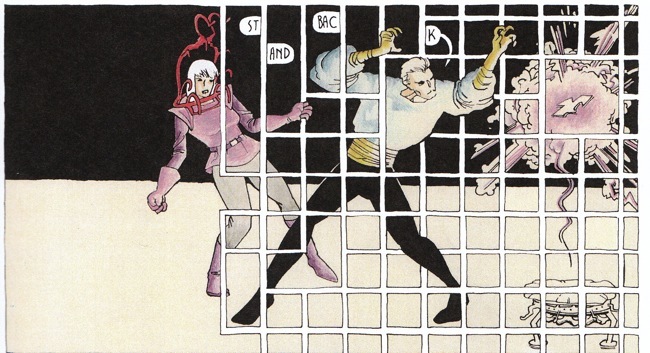 Fiffe’s backgrounds are often drab, tan-colored landscapes, yet he frequently fills his panels with vibrant colors, especially when we’re dealing with characters and objects that may be not of this world. You could almost say that the characters are drawn in a rough, sketchy style, but the deeper you look, the more detail you see. I bought Copra at on a whim at Third Eye Comics and am so glad I did. It’s the strangest, most exciting graphic novel I’ve run across this year. 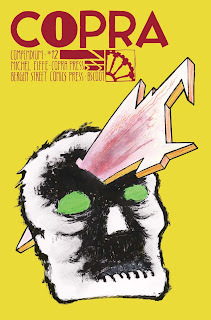 If you’re into weird, cosmic stories with great battle scenes, Copra is for you. I know I can’t wait for the next compendium. Highly recommended. Where are All the (Good) Comic Book Podcasts?